If you've only got a few keys to worry about, you might be better served by a simple keychain like this one from Suigeneric. With their keychains, it's all in the details. They use heavy-duty hardware, unique fabrics, and striking patterns inspired by nautical and military gear. These feature matte black HK-style snap hooks for clipping to your belt loop and a beefy split ring for attaching keys. The 100% cotton body of the keychain is wax coated by hand, resulting in a semi-rigid feel that's comfortable, durable, and water resistant to boot. The body's just long enough to reach your backpocket too, so you can tuck your keys away safely and silently. 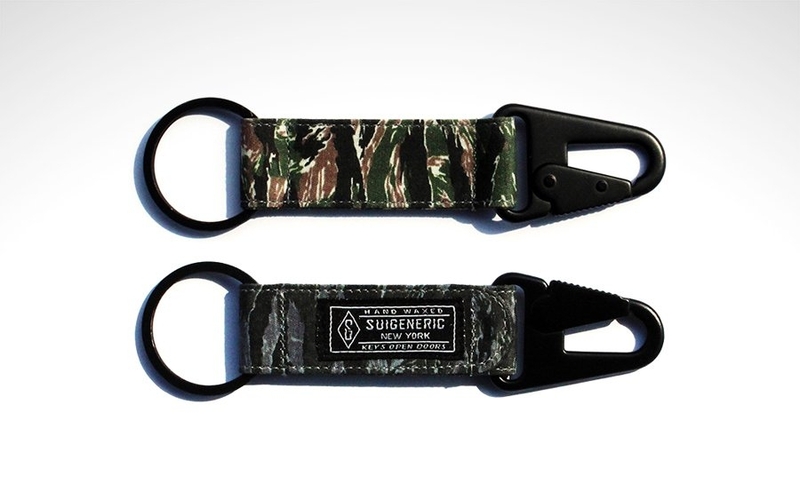 Catch Suigeneric's new Fall/Winter '15 collection of keychains and watch straps, outfitted in black or green tiger stripe camo and several checkerboard colorways at their site below. One of the quickest and easiest ways to breathe new life into your favorite EDC watch is by slapping on a fresh strap. 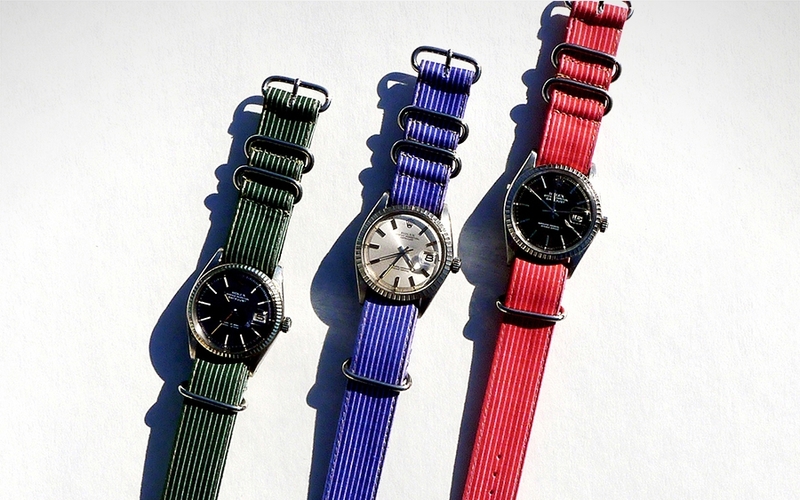 For New York-based men’s accessories company Suigeneric, stylish straps are their specialty. Their newest Spring collection features bright, striking patterns to match your warmer weather fit. But it’s more than just their looks that make these cotton fabric straps special — they’re waxed and sewn by hand. The result is a more rugged, water-repellant material that held up enough for sailors to use back in the day. The slightly faded finish they take on goes great with well-worn military timepieces too. Check out their Spring collection to pick up something new for your wrist, or browse their keychains for other dope patterned waxed canvas to tuck into your back pocket.